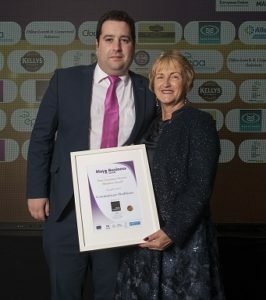 Some photos of a great night out at the Mayo Business Awards which took place on Friday, 2nd March in Breaffy House, Castlebar. 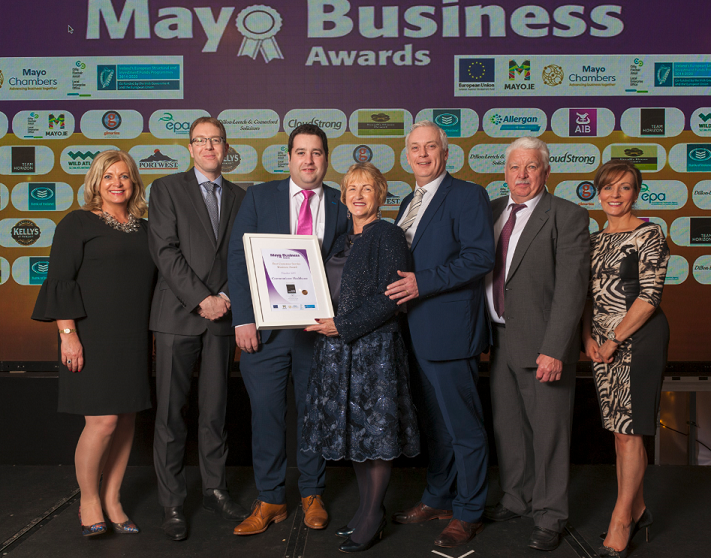 The Mayo Business Awards are a cross community initiative supported by the Mayo Chambers and other local business organisations with the backing of the Local Enterprise Office Mayo and Mayo.ie. 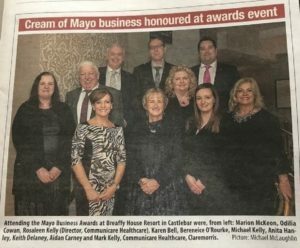 Attending the Mayo Business awards at Breafy House Resort were, from left: Marian McKeon, Odilia Cowan, Rosaleen kelly, Karen Bell, Bereneice O’Rourke, Michael Kelly, Anita Hanley, Keith Delaney, Aidan Carney, and Mark Kelly. We are proud to announce that Communicare was the only Healthcare provider selected as a finalist for the category of ‘Best Customer Service Business Award 2017’. A great accomplishment and deserved recognition for the dedication, hard work and contribution that everyone has given to assist in Communicare becoming a leader in the healthcare field. Congratulations to everyone involved and here’s to 2018!